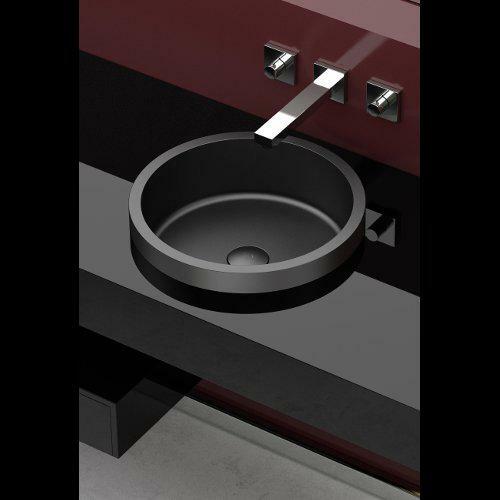 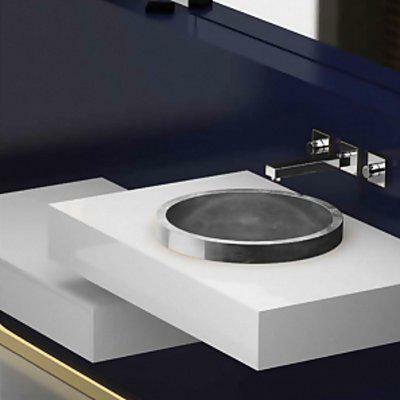 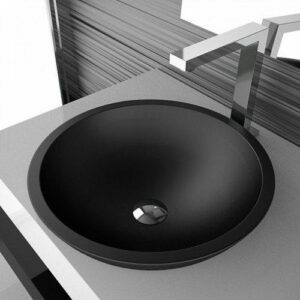 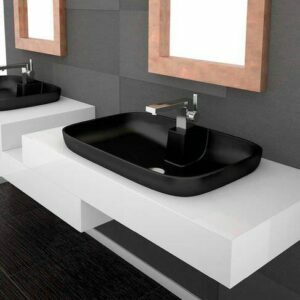 TONDO FL round semi recessed, long lasting washbasin in VetroFreddo®, an innovative material made of glassy pigments and resins. 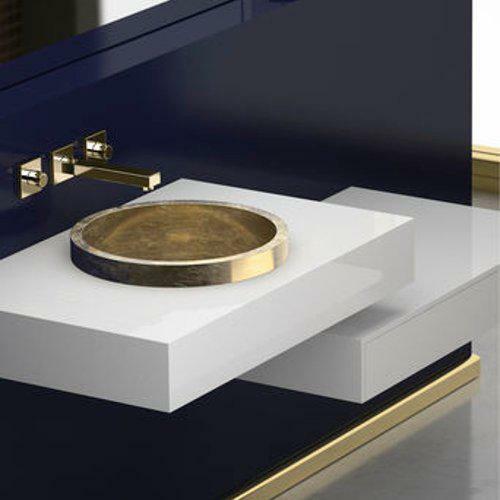 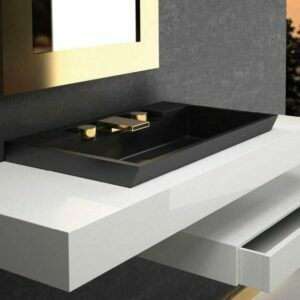 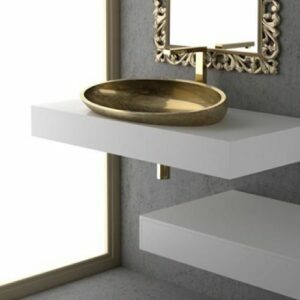 Variety of colours such as white, black and in the most exclusive gold or silver leaf finishes. 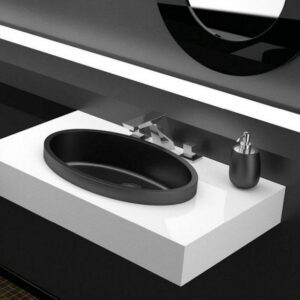 Combined with the SINTESI series cabinet with a specific hole for the chosen washbasin, available in 3 dimensions and 2 colors. 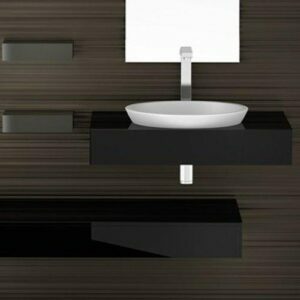 It has the potential of opening a tap hole(1 or 3) if it is not for wall mounted. 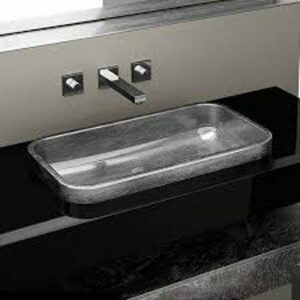 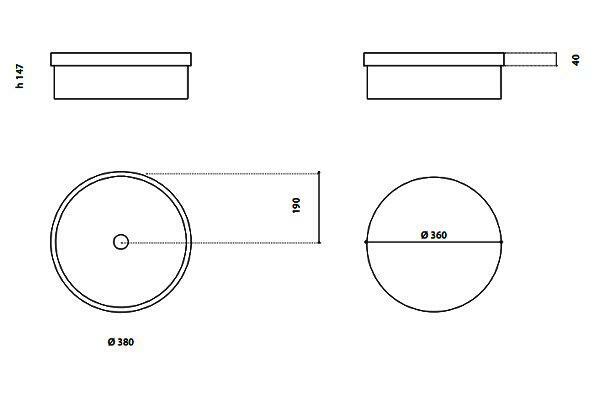 Additional base with drawer can be provided upon request.